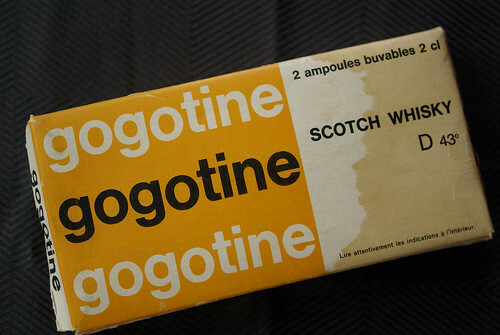 While helping my inlaws move this week, we came across this unusual item: a box containing two ampoules of Gogotine Scotch whisky, packed in Paris who knows how long ago. Our first reaction was, “what the…” quickly followed by “Huh. 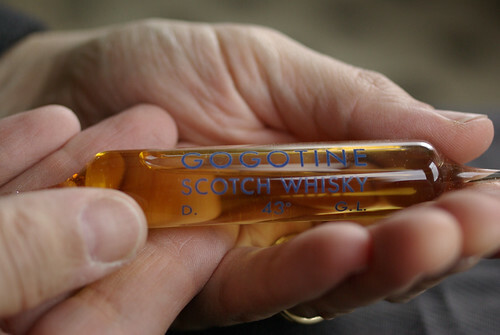 Do you think that’s safe to drink?” Of course, we’re afraid to find out. Anyone know? 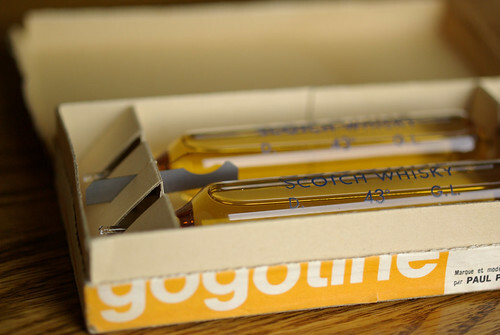 The ampoules are sealed glass on both ends, and the box comes with a little glass cutter. 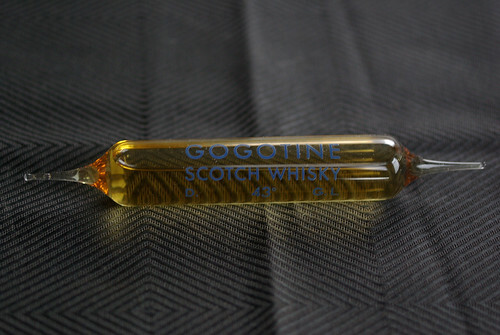 I’m not entirely convinced as far as the safety of this – a little broken glass in your Scotch? Hmmm. The box is a bit worse for wear – it’s been living in a pantry cupboard. The exciting thing is that we have no idea how old this stuff is. The box was retrieved when my husband’s grandparents moved out of their house in the early eighties, but we don’t know when it might have been purchased. Good mystery, eh? Anyone have any idea whether it might be any good or not? Is it worth selling/drinking/throwing away? Normally I would say, “if in doubt, swill it.” Two years ago on the 4th of July I took a very large knife (no sword available) and ceremoniously in an oh so French manner, lopped off the corked end of a bottle of Champagne. The guests were aghast that I was endangering them with potential glass shards in their mimosa. Practically had to drink an entire bottle myself to show them there was no need to fret. I had a nice nap that afternoon. 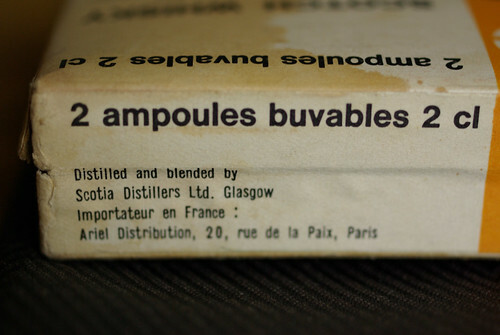 A friend just gave me a carton containing 10 of the same size ampoules. it appears that one end has a slight score to perhaps snap the end off. 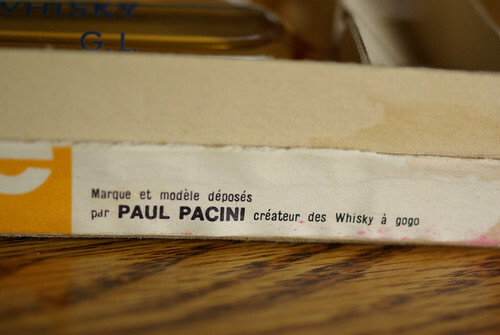 no glass cutter in box but a sheet containing uses, etc in french. anyone know how to read french? maybe I could e-mail it for translation! How cool! Definitely send us the info sheet (I sent you an email). And let us know if you open one up to try!